For 30 years Intonation has provided language services to global companies. We are an approachable, friendly agency, specialising mainly in patent, defence, aerospace, sport, market research and marketing translations. In addition, we also operate City Legal Translations, the UK’s leading solely legal and financial translation specialists. In 2016, we were certified as the UK's Fastest Growing Language Service Provider by the Association of Translation Companies and in 2018 achieved a 100% Client Satisfaction Rate, according to respondents of our annual customer survey. Of our top 10 clients, nine have a history of working with us for at least five years, thanks to our high standards and commitment to delivering clear, accurate translations with efficiency, confidentiality and integrity for a fair price.  "Being a part of Eulogia makes Intonation"